Emotions influence behavior. Part of growing up is learning how to manage our emotions and exercise self-control so that we can treat ourselves and others with respect. Five-year-olds can articulate the difference between appropriate and inappropriate behaviors and can often change their behavior with reminders (e.g., "Remember, we keep our hands to ourselves at school."). They can apply strategies they have learned for controlling their impulses but will need continued support from parents — particularly when they feel overwhelmed by emotions. When your child is tempted to respond one way but resists, acknowledge their self-control. When your child is tempted to respond one way but resists, acknowledge their self-control. This might sound like: "You were mad and wanted to hit, but you stopped yourself! Good work!" A simple and effective strategy for self-control involves changing the situation to reduce temptation. A simple and effective strategy for self-control involves changing the situation to reduce temptation. For instance, if you're trying to eat nutritiously, not having sweets in the house makes it easier to make healthy choices. Teaching kids this strategy involves helping them thinking about in advance what they could do to "change the situation." For example, ask them, "It sounds like sometimes you and your friend get silly and loud during quiet reading time at school. What could you do to change the situation?" or "You get frustrated when it's time to clean up your toys and go to bed. What could you do to change this situation?" Kids of every age feel overwhelmed by emotions or impulses. "When you feel so mad that you want to roar, take a deep breath and count to four." "When you wait, you can play, sing or imagine anything!" "You can take a turn, and then I'll get it back." You can help children develop with similar simple, memorable strategies. Help them verbalize both what they can't do and what they can, such as, "When I'm mad, I can't hit my brother, but I can stomp my feet or squeeze my ball." You can also model the connection between moods and healthy eating, exercise and sleeping: "Sometimes when I'm frustrated, I eat a healthy snack or take a nap to help me feel better." Whether facing down a bully, worrying about a new teacher or being the very last person on earth to lose his baby teeth, Arthur and his friends manage to solve their crises with imagination, kindness and a lot of humor. Using photographs or pictures cut from magazines, you and your child can create a book that shows what tasks your child can do to clean up and get ready for bed. Encouraging open-ended, imaginative play, this app let's your child explore as they visit familiar places and create stories. Focusing on positive social skills and friendship, each game in this app allows your child to explore Elwood City with Arthur, Buster, Francine, and Muffy. Cookie Monster is dressed like a pirate and looking for a cookie jar. Your child can practice pattern and shape identification skills while helping Cookie Monster collect and sort gems along the way to find the cookie jar. Oscar is in charge of the bumper car rides. In order to earn a ticket for the ride, your child will need to choose objects that start with the requested letter of the alphabet. 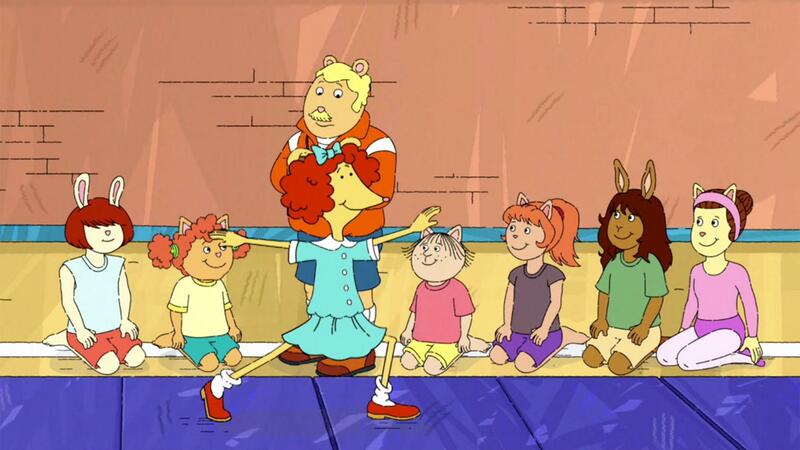 Marina and Prunella try out for the gymnastics team with famous gymnast Boris Belinsky. 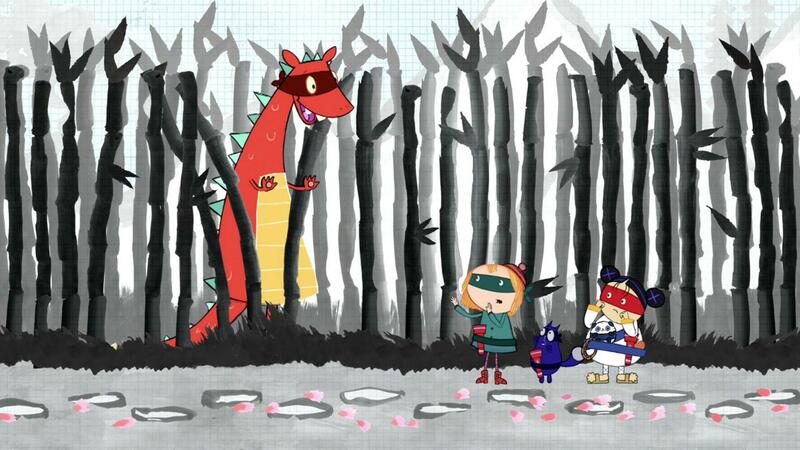 Count up to 15 with Peg, Cat, and Aki as they leap to scare away the dragon.